Click the above category links to view products in each category. 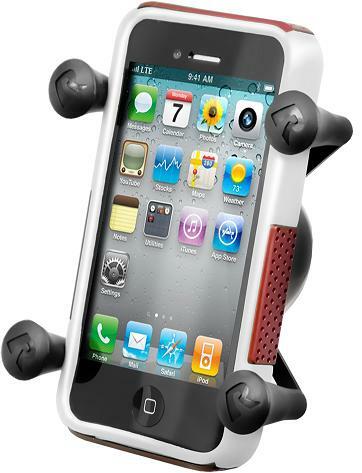 Below are SOME of the most popular universal smartphone holders. Selected universal cradles can accommodate width size ranges from .875 to 3.75 inches. Click on the links below to view all complete assemblies. 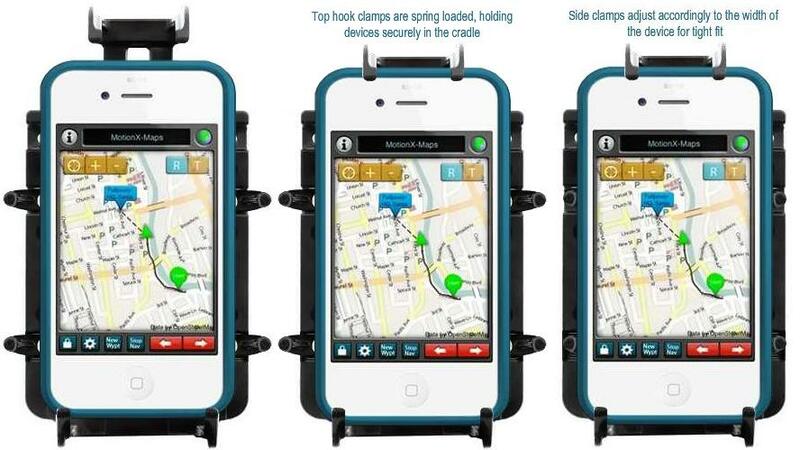 3.5" 2.5" 3.75" 3.5" 3.25"
RAM-HOL-PD3U Top Clamping Cradle: Intended use: automotive or motorcycle applications. Features include secure enclosed device fit. Removal of device from spring loaded top clamp takes effort. Click here to see all RAM-HOL-PD3U mounting assemblies. Click on picture for cradle information. 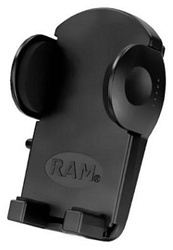 RAM-HOL-UN4U Finger Gripping Cradle: Intended use: ATV, motorcycle or high vibration applications. 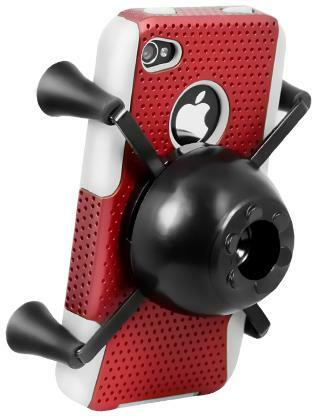 Features include ultra secure hold. Removal of device from side grips takes effort. Depth Range: 0.75" to 1.6"
Width Range: 1.25" to 3.5"
Height Range: 5.25" to 6" (with top and bottom clamps attached). Clamps can be removed. 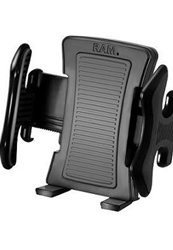 Click here to see all RAM-HOL-UN4U mounting assemblies. Click on picture for cradle information. 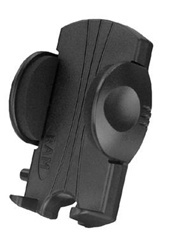 RAM-HOL-UN7BU X Grip Cradle: Intended use: automotive or motorcycle applications. Removal of device from spring loaded X Grip takes effort. Width Range: 0.875" to 3.25" Must be a minimum of 4" in height to fit the holder. 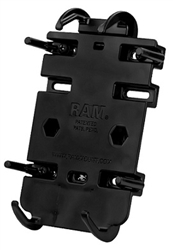 Click here to see all RAM-HOL-UN7BU mounting assemblies. Click on picture for cradle information. 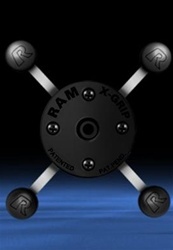 RAM-HOL-UN7U X Gripping Cradle: Intended use: Low vibration applications. Features include secure hold. Removal of device from side grips takes effort. 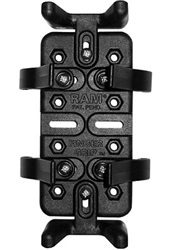 Click here to see all RAM-HOL-UN7 mounting assemblies.